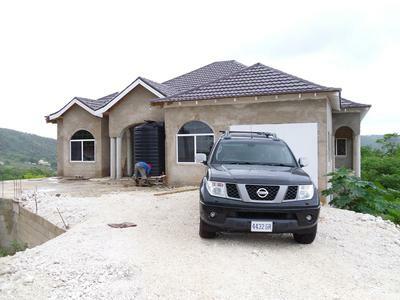 Bringing English reliability and Jamaican builders together ...it works !! We can arrange if you so wish all the difficult things, your desired building design and plans, submit to the parish council, register titles of land and finally the building of your house "we will build it strong" self guarding against the changes caused by global warming. 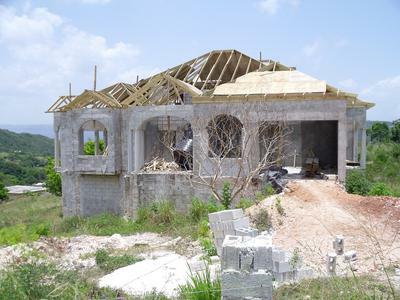 The Evans family has owned and developed land in Jamaica since the 18th century honesty and fair play is our policy we can take the stress out of building your new home in Jamaica we are exactly what you need honest and trustworthy. 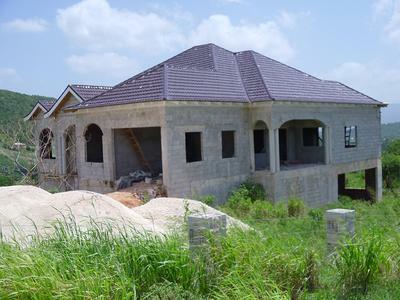 We have land and lots for sale in Monroe and Southfield, St Elizabeth. Full accounts available at all times tracking your finances to the last penny. Join in and write your own page! It's easy to do. How? Simply click here to return to JamaicanHouses.